Fans of Spanish sound artist Francisco Lopez or Portland’s Daniel Menche will appreciate Novi_sad‘s approach to atmospheric electro-acoustic music that draws on a wide range of sources, from processed field recordings and planetary radio frequencies to analyzed data from world financial markets. His 2009 concert at the Chapel was a revelation of dramatic breadth and emotional expressiveness. Living and working in Athens, Greece, Novi_sad explores sound as sensation, pulling apart its physical properties to reveal its relationship with human perception. Amplified environmental recordings, drone manipulations, structured ambient soundscapes, microtones and overtones all come together in a hyper-structure of iconoclastic form. Some of his projects are primarily focused in architectural acoustics and the relationship between architecture and sound, when other projects are based on various methods of audio analysis and the use of quantitative and numerical data from different sources. His vertiginous structures destruct and reconstruct architectonic, organic and sentimental abstractions with precision and hypnotic beauty. Being immersed in his sonic environments is an experience both visceral and cerebral. 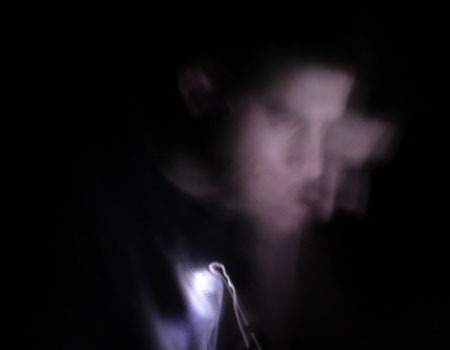 Novi_sad‘s audio works are available from Sedimental [US], Touch [UK], Staalplaat [NL] and Sub Rosa [BE]. He has presented his work in cinemas, industrial spaces, theatres, churches, museums, galleries, squats, and festivals internationally, and has worked and collaborated with an impressive roster of artists including Helge Sten [Deathprod, Supersilent], Francisco Lopez, Mika Vainio [Pan Sonic], Ryoichi Kurokawa, BJ Nilsen, Daniel Menche, Richard Chartier, CM von Hausswolff, Jacob Kirkegaard, Beckie Foon [A Silver Mt. Zion, Set fire to flames], Scott Konzelmann, Frank Kalero and Karl Lemieux.